Summer is my favourite time of the year; due to the fact that it is when I see my friends and family the most, by having BBQs and going to the beach. Another reason why I love the Summer is because it is usually warm (and sometimes rainy in England!) and I love getting a tan. 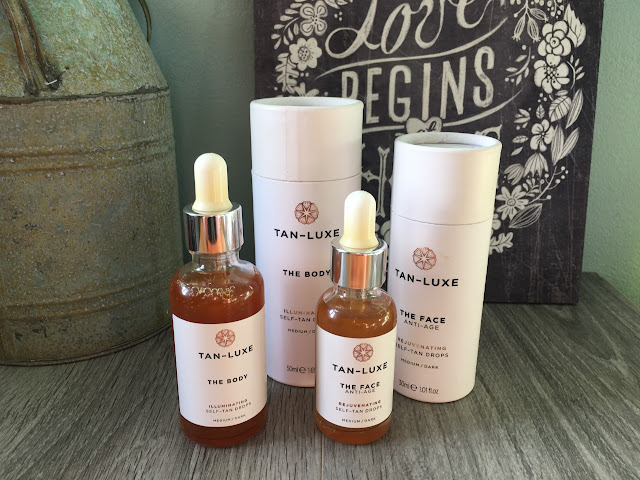 However, I am always concerned about my health when it comes to spending too much time in the sun, so I have recently been trying different self-tanning products, and I came across a brand called Tan-Luxe. Personally, I am not keen on going to a salon to get a spray tan or getting on a sun bed. I don't often write about self-tanning products, as I mainly focus on makeup when I talk about beauty, but this is a product that I have been using recently and I have noticed that for a self-tanning product it does work. I have used these products a couple of times and my first impression of it is that it does work and it gives you a natural looking tan. I have only really used it on my legs; as they are the areas that don't seem to tan very well naturally. The first time I used the Body self-tan drops I noticed that it did look streaky and I was really annoyed as these products are not cheap. However, I noticed I had missed a very vital step that they suggest you should do; exfoliate! If you are going to use any self-tanning products, I would recommend exfoliating at least 24 hours in advance. When I re-did this a couple of weeks later, I exfoliated 24 hours before using the drops and I noticed that there was no streakiness and it matched my natural tan. I don't know if I would use these tanning drops everywhere, as I do prefer the natural tan that I get when I am in the sun. However, in the Winter and Autumn months, I would definitely use these drops more just to give me a subtle natural tan. 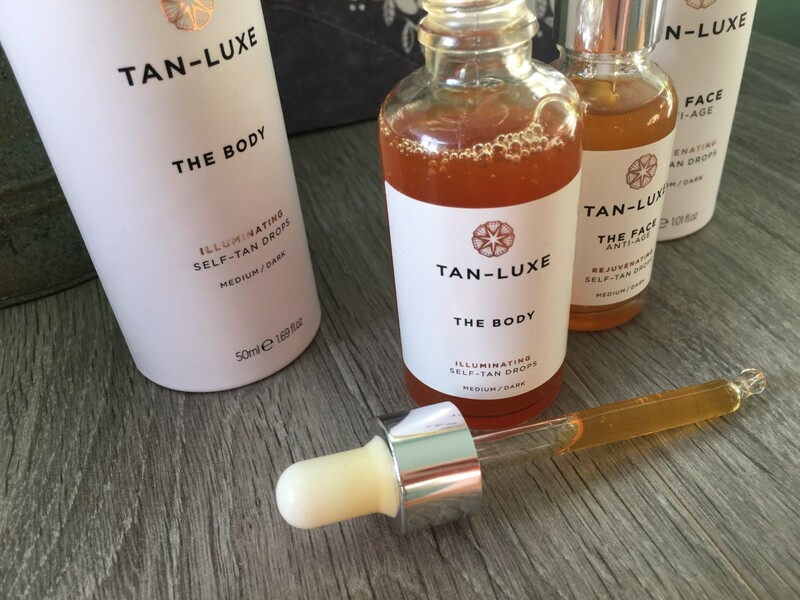 The Body Self-Tan drops have hyper firming benefits from their Cellutone Complex. Also they have worked on using ingredients that will help leave your skin looking radiant. In their product they have caffeine, Raspberry Seed oil and Vitamin E. There are different ingredients in The Face Self-Tanning drops; these are Tri-Collagen Booster, Raspberry Seed Oil, Vitamin E and Aloe Vera to help rejuvenate your skin. Personally, I am probably not going to use the face tanning drops and will be giving them to my friend. 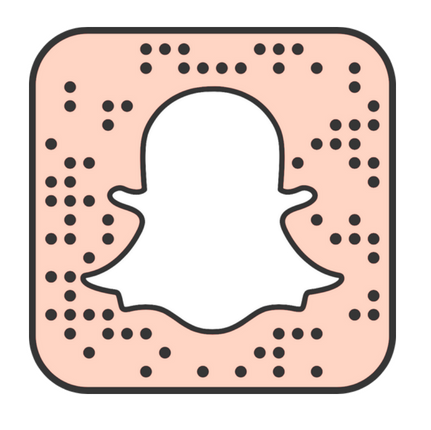 I was hoping it would work, and I am slightly scared of using the drops on my face. I have normal to dry skin, and I only get dry skin on certain areas of my face; like round my nose. Therefore, I don't want the drops to make the dry skin look even more obvious. However, if you have normal skin and you really struggle to tan then I would definitely recommend giving these a go. I do like the fact that this is anti-aging and should restore dull looking skin. These are also strongly scented and I quite like the smell, but if you are not a fan then it might be a bit too powerful for you, as I can smell it when it is just in the bottle and the lid is screwed on. Overall, I am impressed with The Body self-tanning drops but I don't think I will be buying The Face drops again. These drops left my skin looking radiant and gave me a natural glow. They are also so easy to work into your skincare routine. However, if you tan naturally anyway then there is probably no point in buying them or I would suggest buying a less expensive brand that you know works. I think for me I won't use these drops much and really they are just kept in my bathroom in their boxes because they do look pretty with my other skincare items. I think there are other brands out there that do just a great job at self-tanning, however if you struggle to tan and you want a natural glow then I would definitely recommend these, as you can gradually build up the tan over time. These products will also last you a long time as you get quite a lot of the product in each bottle and you only need a couple of drops each time you self-tan; which would probably be once a week for the first month and then probably once every two weeks after that. Is this a product I would buy again though, probably not as I know there are other brands that I love just as much like Xen-Tan and I don't really self-tan that much as I try and get a natural tan. 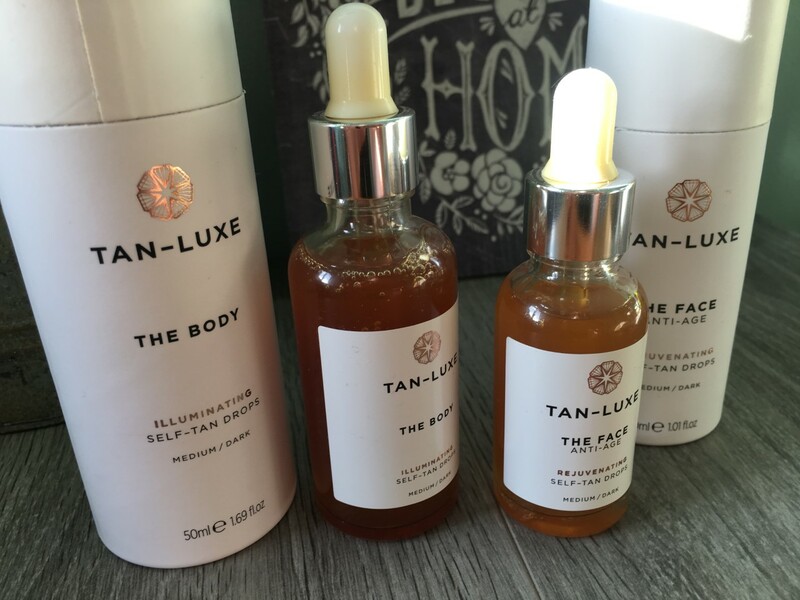 However, it is not good to spend long periods of time in the sun and you should always wear sun protection; however if you want an instant tan then I would suggest these drops or go for a brand like Xen-Tan which is around the same price or slightly cheaper. 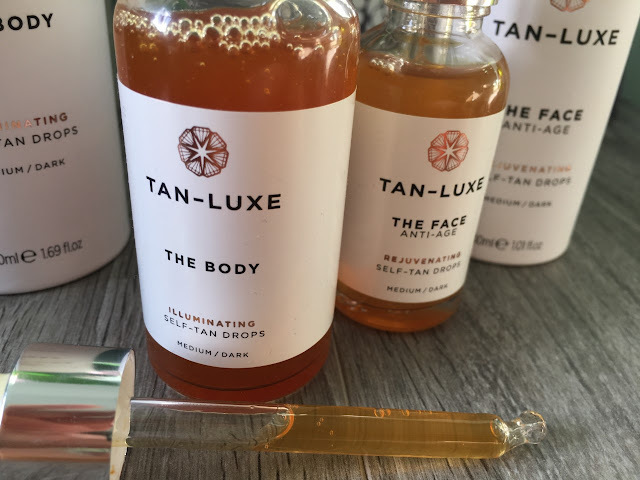 I really like Tan-Luxe products and they do work and if you follow their instructions you will get gorgeous naturally tanned skin; however it is fairly expensive and it depends how much you are willing to pay.